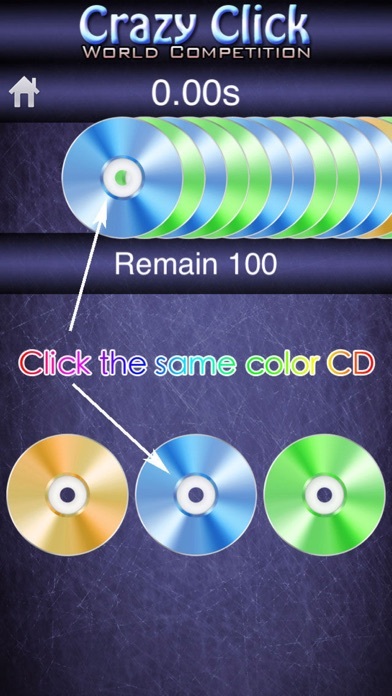 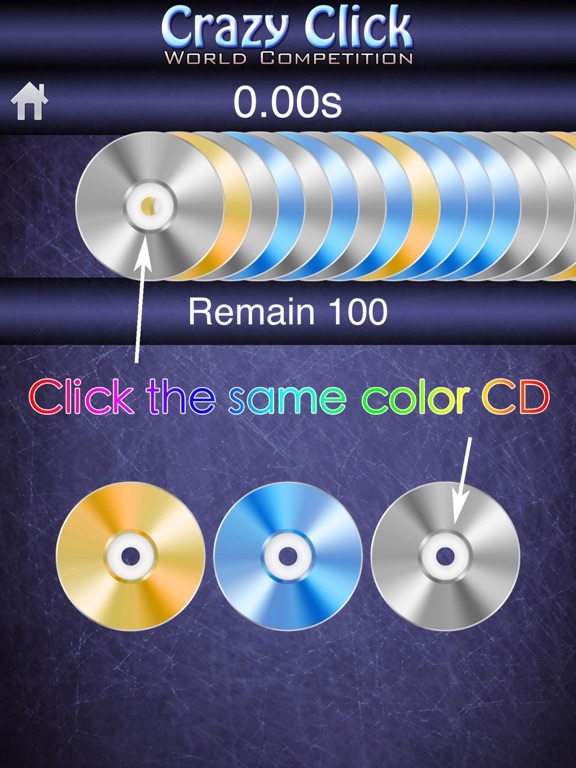 It is a crazy game, follow the CD color and press the same color button. 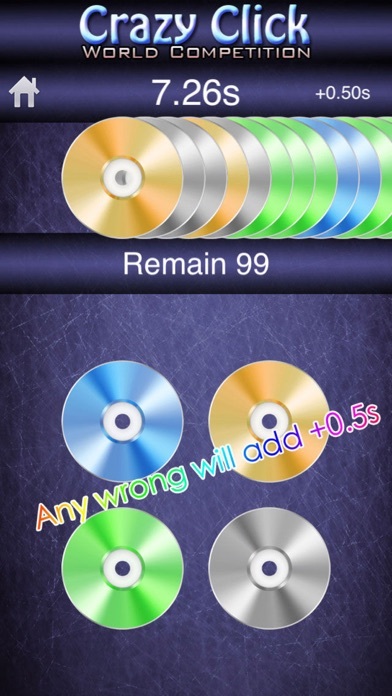 Once you press down, the timer will count. 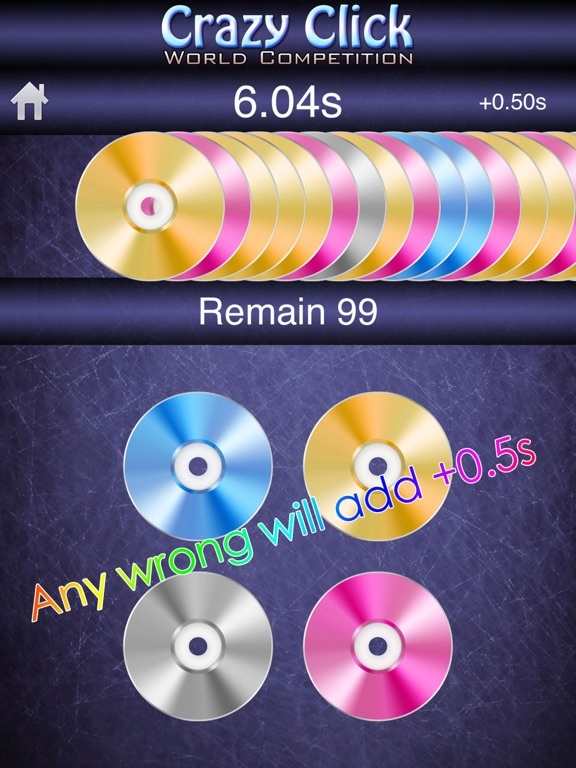 Any wrong pressing, timer will be additionally add +0.5s. 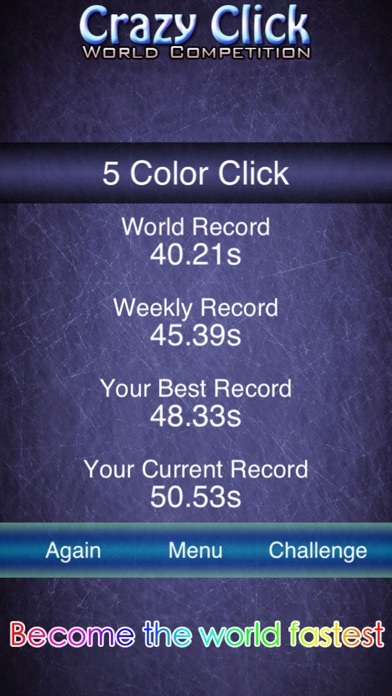 Press as fastest as you can to finish the game. 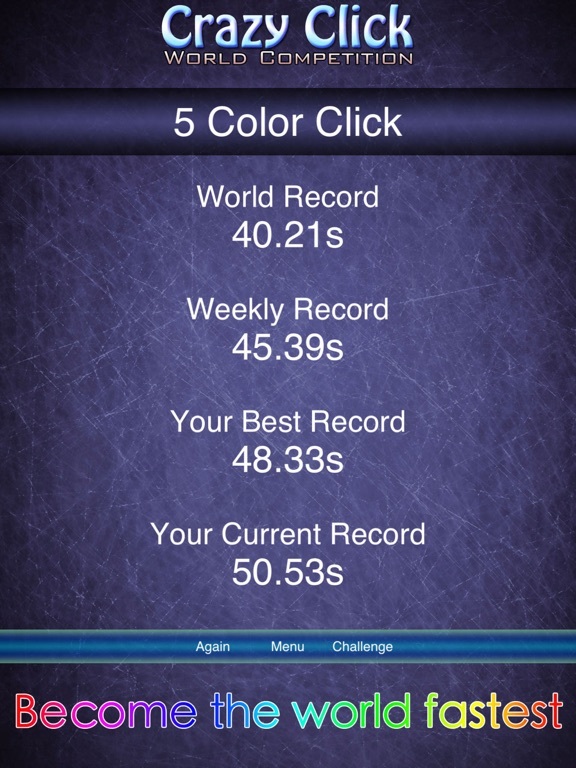 Warning: It is very easy to press wrong color, because your brain cannot control your finger and eyes at same time.